Postmodern man might scoff at truth and goodness, but he’s still enthralled by beauty, says prominent theologian and evangelist Father Robert Barron. Beauty, then, is the arrowhead of evangelization, the point with which the evangelist pierces the minds and hearts of those he evangelizes. “Lead with beauty,” Barron said to an audience of Catholic journalists and communications professionals gathered in Denver for the 2013 Catholic Media Conference. I quote Father (now bishop) Barron here because in many cases the prayer table in a classroom is the point with the greatest potential for beauty. In the midst of classrooms built for function, whose use for Family Formation is temporary, a prayer table is a creative expression of beauty that can begin as a point of interest and introduction for each month’s topic, and lead to deeper prayer and understanding. 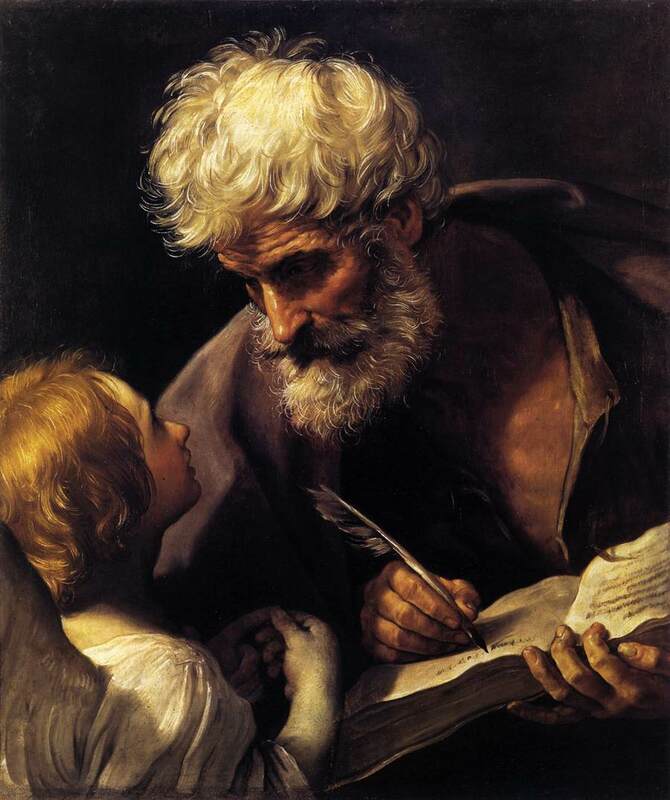 This month’s topic is all about Holy Scripture and I can’t think of a better piece illustrating the inspiration aspect of it all than this one by Guido Reni. This piece and thousands of others are available free on the ‘net in a very nice resolution here, at the Web Gallery of Art. A word of warning – while many of their pieces are sacred art, some are not. In fact, you may find some that you deem to be offensive. 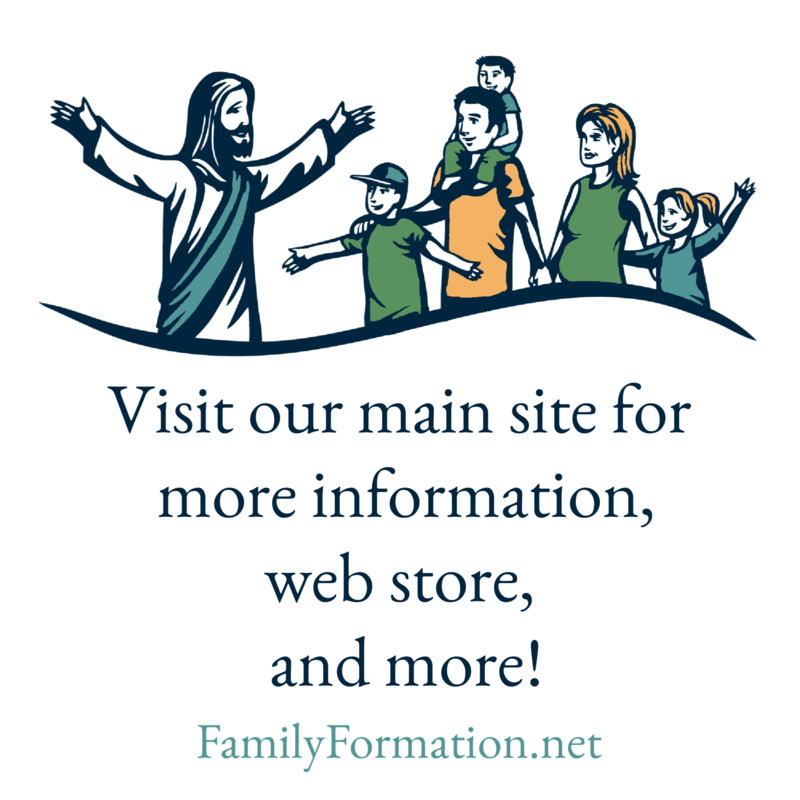 For this, and other reasons, Family Formation always recommends that children not be allowed to use the internet without parental supervision. When I find a piece I want to print, I simply double click on the thumbnail image to see the larger version. Then right click on it, copy, and paste it into a MS Publisher (or Word) document to print. You can adjust the size a bit bigger without losing resolution and you can always go smaller. From there, I just print and if it’s something I want to use on an easel I’ll spray glue it onto a mat or some kind of card stock.